We all know that texting while driving is dangerous. 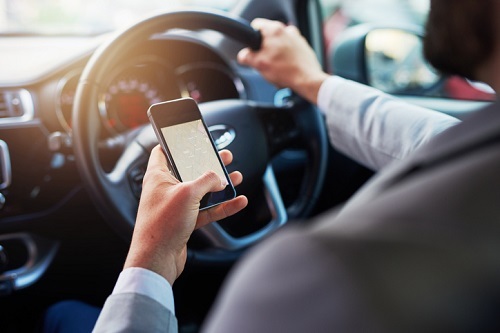 Yet, eight people are killed and over 1,000 are injured every day in distracted driving crashes in the US, according to the National Highway Traffic Safety Administration. Telematics companies have already stepped up to provide insurers data on how drivers are braking and accelerating, as well as where they’re driving and for how long. But TrueMotion, a Boston-based start-up, is harnessing the power of mobile technology to improve driving habits, including distracted driving. In fact, the company reports that it has been able to reduce distracted driving up to 20% through safe driving programs. What makes TrueMotion stand out is its focus on software, not hardware. The start-up worked with Progressive for three years to develop a way of getting driving data from sensors on smartphones at a time when the car insurer started to move away from the plug-in devices it uses in its Snapshot usage-based insurance (UBI) program. Tracking the distance that a car travels seems easy enough, but how can you measure whether drivers are using their phones? Ted Gramer, CEO of TrueMotion, said the first step was figuring out whether the user was in a car, versus a boat or plane, and whether they were the driver or passenger. So, when a person holds their phone up to their ear while driving, that’s determined to be a distracted driving behavior, but if a phone is sitting passively in a cup holder playing music, the data collected is not logged as such. New developments in telematics seem to be a daily occurrence. However, advancements in the UBI space have been slower than expected, said Gramer, though interest is starting to grow at an accelerated pace, especially from insurers. As for what Gramer sees in the fast-approaching future of auto insurance informed by telematics, he calls the next move forward ‘UBI 2.0’ – a much broader, mobile telematics offering. For example, customers want to know when their relatives have been in accidents or get access to information that helps their teen be a safer driver. Reaching to answer that work email while driving? Think again.